Canvas 2 was already a big step forward by making Canvas way faster and bringing a lot of new features such as reports bursting. 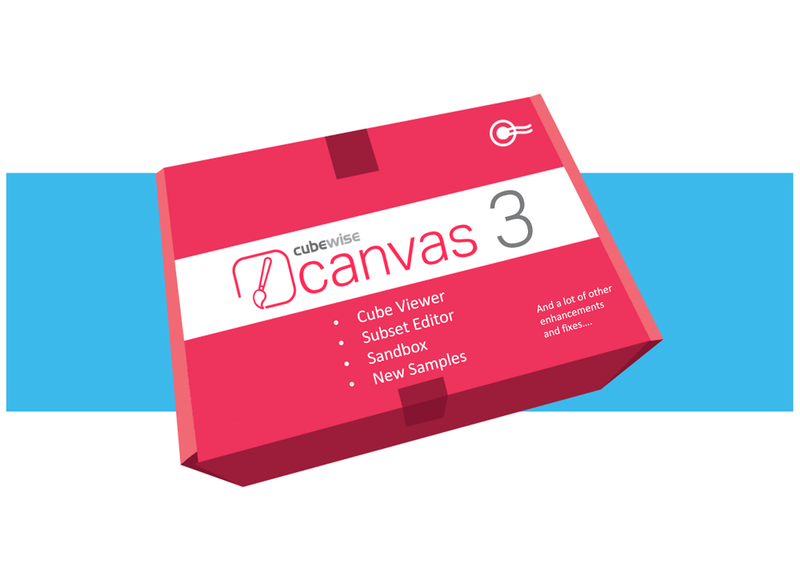 Thanks to feedback from all our customers, this new version brings Canvas much further by adding two desired components - a whole new Cube Viewer and Subset Editor. The new Canvas Cube Viewer will offer greater flexibility to your users and fasten developments. It fully supports all IBM Planning Analytics features such as hierarchies and sandbox. What is more is that you are free to customize the look, the way you like. Canvas already had lots of different ways to facilitate user selections with dropdown, radio-buttons, date picker... now with the Subset Editor, your users will be able to use all common TM1 and Planning Analytics filter features such as filter by level, attributes, string. This Subset Editor is also highly customisable. Canvas now supports sandbox. Creating, Publishing, Discarding and Deleting sandboxes is now very easy to do in your Canvas application. The DBRs support sandboxes as well so you can now compare different sandboxes by just referencing two different sandboxes to two different DBRs. A whole new sample application has been added. This new application is a great way to learn how you can customize all Canvas look and feel following the standard practices. If you are looking for Out-of-the-box solution, check out Apliqo UX. The Apliqo team has built an App-Builder on top of Canvas with lots of ready-to-use components. With Apliqo UX you get the power and freedom of Canvas combined with the ease of drag-and-dropping. Upload data into TM1 from an Excel file. Introduction to HTML with Canvas. Differences between Planning Analytics Workspace and Canvas.